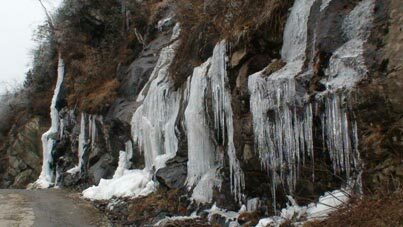 Pick- up from hotel at Gangtok at about 10 a.m. proceed to Lachung (115 Km) at an altitude of 8,600 ft. On the way stop and enjoy a few wonderful locations like Tashi Viewpoint, Kabi Lungstok, Naga Waterfalls, the confluence of Lachen chu and Lachung Chu at Chungthang, Twin Waterfalls and Bhim Nala Waterfalls. 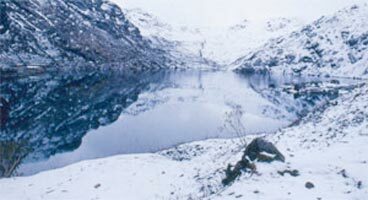 Reach Lachung by late afternoon and check in hotel. 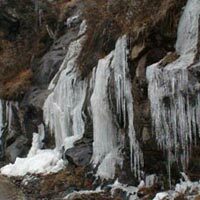 After breakfast leave for Yumthang (11,800 ft.) On the way you will visit the famous hot spring. 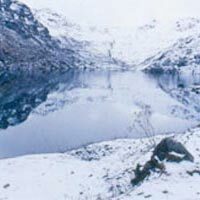 Yumthang is large valley surrounded by mountains where the tree line ends. In April/ May the valley erupts in a riot of colors of Rhododendrons, Primula and many other Alpine Flowers, which are in full bloom. (Supplementary - The trip can be extended to Zero Point). After sightseeing, return back to Gangtok for night stay. 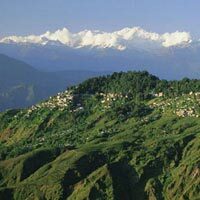 After breakfast transfer to Darjeeling (7100 ft), the "Queen of the hill Stations". 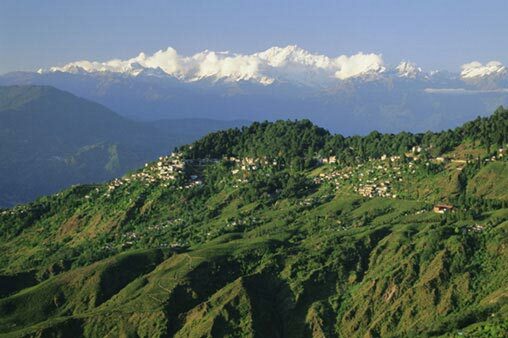 Drive through scenic ecstatic beauty of mountains, stiff climb through Peshok tea gardens etc. Overnight at Hotel in Darjeeling. Early morning tour start at 4 am an early morning trip to Tiger Hill (7800 Ft) to catch the sunrise from behind the majestic Kanchenjunga range. On the way back visit the Ghoom Monastery & Batasia Loop. Back to the hotel for breakfast. Afternoon go for next half of sightseeing of Padmaja Naidu Himalayan Zoological Park & Himalayan Mountaineering Institute (Closed on Thursday), Tenzing & Gombu Rock, Tibetan Refugee Self-Help Center (Closed on Sunday) & overview of Tea Estate. Overnight at Darjeeling. After breakfast proceed to NJP Railway Station / IXB Airport (100 Km / 3.5 Hrs), for your onward connection/ journey.